H/T to fellow FREEDOM fighter Fantomas!! Thanks mi hermano! H/T to a fellow FREEDOM fighter for this picture. Gracias for all your help mi hermano! My fellow FREEDOM fighters, Mambises, a diabolical tryanny has reigned over Cuba for 48 years. Emotions are running wild from the speech of President Bush. The emotions run from "
it's the same ole song and dance" to "first time a U.S. President called Cuba what it really is"
What do I think about the speech? I have mixed emotions, yes I do believe that Bush really wants FREEDOM for all Cubans. Will the U.S do anything about it? No! Every nation has a right to defend itself, but not Cubans! Kennedy betrayed us and basically took away a God given right for Cubans everywhere to FIGHT for FREEDOM. No Cuban outside of Cuba can go and fight against the apartheid dictatorship. The Soviet Union has collapsed, the communist apartheid dictatorship in Cuba never kept its word and spread guerrilla warfare all over Latin America. That's OK for the UN, the World, and the press. How dare Cuban exiles or Cubans inside the island defend themselves from the gangsters in Cuber! Am I wrong here? The world has turned its back and ignored this human tragedy for 48 years, you are an accomplice to this tragedy, Cuba will be FREE, the truth will reign and all the atrocities will be known! NO MORE, NO MORE,NO MORE, NO MORE, NO MORE! 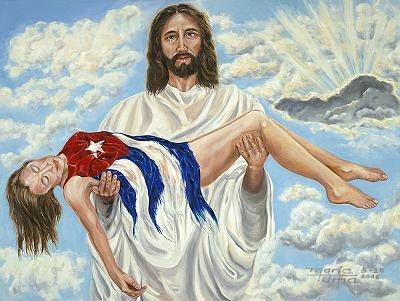 Mambises, it's time for Cuba to be FREE!!!!!!!!!!!!!!!!!!!!!!!!!!!!!!!!!!!!!!!!!!!!! THE PRESIDENT: Hola. Sientese. Thank you for coming. Welcome to the Rose Garden. It's my honor to host you for an important policy announcement. The Secretary mentioned to me that Bob Dole is with us. Bob Dole is not with us. One hundred and thirty-five years ago today, the struggle for Cuban freedom began at a sugar mill near Manzanillo. Carlos Manuel de Cespedes -- known as the Father of the Homeland -- led an uprising against colonial rule. Today, the struggle for freedom continues -- it hasn't ended -- in cities and towns of that beautiful island, in Castro's prisons, and in the heart of every Cuban patriot. 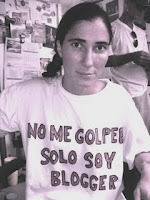 It is carried on by brave dissidents like Oscar Elias Biscet, Marta Beatriz Roque, Leonardo Bruzon Avila. Last year in Miami, I offered Cuba's government a way forward -- a way forward toward democracy and hope and better relations with the United States. I pledged to work with our Congress to ease bans on trade and travel between our two countries if -- and only if -- the Cuban government held free and fair elections, allowed the Cuban people to organize, assemble and to speak freely, and ease the stranglehold on private enterprise. Since I made that offer, we have seen how the Castro regime answers diplomatic initiatives. The dictator has responded with defiance and contempt and a new round of brutal oppression that outraged the world's conscience. In April, 75 peaceful members of Cuban opposition were given harsh prison sentences, some as long a 20 years. Their crimes were to publish newspapers, to organize petition drives, to meet to discuss the future of their country. 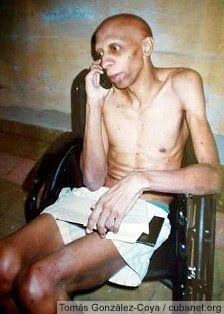 Cuba's political prisoners subjected to beatings and solitary confinement and the denial of medical treatment. Elections in Cuba are still a sham. Opposition groups still organize and meet at their own peril. Private economic activity is still strangled. Non-government trade unions are still oppressed and suppressed. Property rights are still ignored. And most goods and services produced in Cuba are still reserved for the political elites. First, we are strengthening re-enforcement of those travel restrictions to Cuba that are already in place. (Applause.) U.S. law forbids Americans to travel to Cuba for pleasure. That law is on the books and it must be enforced. We allow travel for limited reasons, including visit to a family, to bring humanitarian aid, or to conduct research. Those exceptions are too often used as cover for illegal business travel and tourism, or to skirt the restrictions on carrying cash into Cuba. We're cracking down on this deception. I've instructed the Department of Homeland Security to increase inspections of travelers and shipments to and from Cuba. We will enforce the law. (Applause.) We will also target those who travel to Cuba illegally through third countries, and those who sail to Cuba on private vessels in violation of the embargo. Second, we are working to ensure that Cubans fleeing the dictatorship do not risk their lives at sea. My administration is improving the method through which we identify refugees, and redoubling our efforts to process Cubans who seek to leave. We will better inform Cubans of the many routes to safe and legal entry into the United States through a public outreach campaign in southern Florida and inside Cuba itself. We will increase the number of new Cuban immigrants we welcome every year. (Applause.) We are free to do so, and we will, for the good of those who seek freedom. Our goal is to help more Cubans safely complete their journey to a free land. The transition to freedom will present many challenges to the Cuban people and to America, and we will be prepared. America is not alone in calling for freedom inside of Cuba. 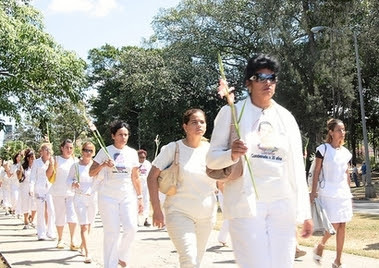 Countries around the globe and the United Nations Human Rights Commission increasingly recognize the oppressive nature of the Castro regime, and have denounced its recent crackdowns. We will continue to build a strong international coalition to advance the cause of freedom inside of Cuba. In addition to the measures I've announced today, we continue to break the information embargo that the Cuban government has imposed on its people for a half a century. Repressive governments fear the truth, and so we're increasing the amount and expanding the distribution of printed material to Cuba, of Internet-based information inside of Cuba, and of AM-FM and shortwave radios for Cubans. Radio and TV Marti are bringing the message of freedom to the Cuban people. This administration fully recognizes the need to enhance the effectiveness of Radio and TV Marti. Earlier this year, we launched a new satellite service to expand our reach to Cuba. On May 20th, we staged the historic flight of Commando Solo, an airborne transmission system that broke through Castro's jamming efforts. Tyrants hate the truth; they jam messages. And on that day, I had the honor of speaking to the Cuban people in the native language. Bush will speak on Cuba today. Let's see if anything new will surface? Raulita is in power while the Adidas dictator spends his time "REFLECTING" and adding new routines to his apartheid dictatorcizes. No changes expected and I don't really expect any unrest in Cuba, since many officials here in the U.S. fear a mass exodus from Cuba. Call me crazy, an island of 11 million people, a mass exodus of how many? Yet, we have how many illegals from a certain country and no fears or major solutions on that issue? What about the absurd wet/dry foot policy? One Question? Are these DEMOCRATIC elections? NOOOOOOOOOOOO! If it were up to me...Cuba would be FREE!!!! ....Ramiro "cuidado que e voy a darun tiro" went ballistic and had an anxiety attack after mini-me chavez was referring to the dictator in the past tense during the show Alo Presidente.... Ramiro was overhead yelling: " I would of capped the sucker back in the day!" ..."Tricky Ricky" Alarcon will appear with wolfman blitzer on CNN for 3,501th time. ....the dictator was a great Hockey player and actually turned down an offer to play for the NY Rangers.... "I believe the game is to violent, I would rather whack my political opponents." the dictator was quoted back in 1958. "Chávez in Cuba: The Venezuelan clown spoke too much and made Ramiro Valdes sweatHugo Chávez went to Cuba last weekend to broadcast his weekly radio program from che Guevara's monument in Santa Clara. On Saturday, Hugo met with Castro and all indications are that he found the Cuban dictator in much worse shape than when he saw him four months ago. And if you look at the photos that were released after their meeting, it is not difficult to see why Hugo was so pessimistic. I have seen corpses that looked healthier than the Cuban dictator did. 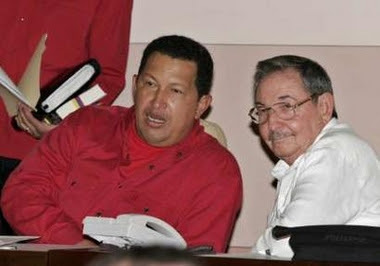 On Sunday, Chávez traveled to Santa Clara with Ramiro Valdes, one of the regime's most feared thugs, who became famous at the beginning of the "robolution" for torturing and murdering those who were opposed to the Cuban regime. With Cuban official media broadcasting live all the incidences of Chávez's visit, the Venezuelan clown kept talking and talking, and as always happens during his bouts of verbal incontinence, he screwed up big time. Inside the che Guevara museum, Chávez begins to talk about the times when he and Castro went to Guevara's house in Argentina and says that he doesn't think that they would be able travel together again. He then refers to his last meeting with the Cuban dictator and says that he doesn't know if that would be their last one. This was just too much for Ramiro Valdes who knew that this was being broadcast live in Cuba. He starts sweating, removes his military cap, takes out his handkerchief and dries his forehead, but Chavez keeps his verbal diarrhea going. Ramiro finally cuts him off saying "Hay Fidel para rato," (there is Fidel for a long while) and Chávez finally gets the message that he is not supposed to say that Castro is almost dead and repeats "Of course there is Fidel for a long while." Later, when Chavez's radio program finally began, he received a call from the Cuban dictator and when he is told that Castro is on the line he yells "Viva Fidel," but Castro didn't sound too happy. "Now you say viva Fidel but a little while ago you said that I was almost at the end, that you didn't know if you were going to see me again," Castro told him. Chávez didn't know what to say. It was one of the few times when the Venezuelan clown has been left speechless. Click here and then move the dial to 23:00 to hear Chávez saying that this was probably his last meeting with Castro and see Ramiro Valdes sweating. Click here and then move the dial to minute 43:55 to hear Castro telling Chávez that he almost killed him"
"Mom and Dad" as well as "husband and wife" effectively have been banned from California schools under a bill signed by Gov. Arnold Schwarzenegger, who with his signature also ordered public schools to allow boys to use girls restrooms and locker rooms, and vice versa, if they choose. " What? say it isn't so governernator! So what are the kids going to call their parents? Significant adult caretakers? Time for a new CAPTION CONTEST! ***In pursuant of the by laws of the El Cafe Cubano caption contest, this contest is open to all in the general public except for Fidelito, those affiliated with the communist party, clueless journalist who constantly defend the dictatorship, Code Pink, Buck, Jose Serano, Anita Snow, Danny Glover, Charles Rangel, Katie Couric, Matt Lauer, Michael Moore, CNN in Havana, people who wear Che t-shirts, ramiro"cuidado que to voy a dar un tiro," Dan Rather, Oliver Stone, Harry Belafonte, the lawyer for the Cuban father, that guy who helped with the Cuba search engine, Pastors for Dictators, and all those who defend the apartheid dictatorship. se encuentra una isla hermosa. H/T to George of Real Cuba! A blog about interesting ideas, things, people, and events. AN OPEN LETTER TO PRESIDENTIAL CANDIDATE RON PAUL © ABIP 2007by Agustin Blazquez with the collaboration of Jaums SuttonThe biggest enemies in the United States of those who want freedom for Cuba are the liberal media and academia. This Cuban American’s personal opinion has been reinforced by 40 years of life in this country seeing and reading reports from the liberal media and academia about the Cuban revolution and life in Cuba since Fidel Castro’s military regime took power. When you know a subject matter very well, the romantic ideas, false myths, errors, misconceptions, misleading reports and propaganda, do more than jump out at you; they attack you with fury. 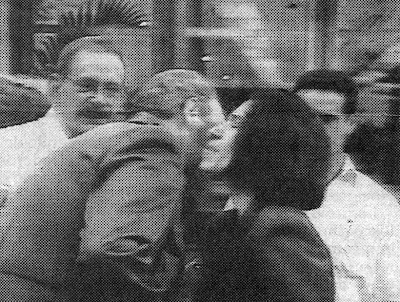 The liberal media and academia, after decades of bombarding the American people with relentless misinformation about Cuba, fool most of them, but they cannot fool a Cuban American with firsthand experience about the Castro brothers’ ongoing totalitarian regime. I don’t think most Americans – misinformed by the liberal media and academia – can make an educated judgment or decision about the Cuban issue. Many are so misled that they even wear Che T-shirts. They don’t know that Che Guevara was a criminal who took pleasure in executing people – including minors – without trial. They don’t know that he was the architect of the Cuban gulag, prison and execution system. They don’t know that other than that, he failed miserably, mismanaging everything Castro assigned to him. The confusion extends to our politicians. Of the Democrats running for President, Barack Obama and John Edwards recently made statements about Cuba that revealed their ignorance. An opinion piece in the Los Angeles Times on August 25, 2007, said, “Barack Obama, determined to cast himself as the Democratic presidential candidate most open to new ideas on foreign policy, raised plenty of eyebrows recently when he proclaimed that he would be willing to meet personally with such rogue figures as Cuban dictator Fidel Castro.” Castro has proven repeatedly that he is, unfortunately, not open to negotiating. Even decent, honest, well-intentioned politicians don’t have a clue about how the totalitarian military regime in Cuba operates. This naive approach would work if the Castro brothers’ totalitarian regime and their henchmen thought the way Americans think, but unfortunately they do not. This is my answer to Congressman Paul: the reasons why I think his policy, with which many agree, is misguided and why the Cuban embargo should not be lifted and free trade should not be established with Cuba. 1. What is good for agribusiness in Texas is not necessarily good for the Cuban people. 2. Doing business in Cuba is not doing business with Cuban business owners. The Cuban government requires that all foreign business done in Cuba be conducted with the Cuban government as intermediary. As revealed by many participants, foreign companies must pay the regime in dollars to get workers, and the regime keeps 90% of the salaries; workers receive just 10%, and they are paid in Cuban pesos. Independent labor unions are forbidden. On August 11, 1989, Carlos Miguel Suarez and Isidoro Padron Armenteros were executed in the city of Sagua La Grande, Cuba. Their crime? Trying to organize an independent labor union. 3. The embargo is working. If it had not been in place, the Cuban government would have had more money to spend on spreading communism and terrorism around the world and on maintaining control of and suppression of the Cuban people. It may even have been able to afford nuclear weapons by now. It is on public record that Castro asked Nikita Khrushchev to use nuclear missiles against the United States during the missile crisis in 1962 and that Che also wanted to use nuclear weapons to destroy the U.S. In addition, the embargo may prove to be a bargaining chip for a future change of government there. 4. Doing business with Cuba does not put pressure on the Castro government to increase freedoms; it merely reinforces the existing elitist system, since the only Cubans permitted to do business with foreigners are the privileged elite, who are chosen by the government. But not even the elite can put pressure on the Castro government, because their status can change in the blink of an eye. 5. Many naively point out the role of free trade in overturning the totalitarian regimes of countries such as China and Russia. But as reported by 60 Minutes on Sunday, September 23, 2007, and many other sources, Russia is resuming its totalitarian police state. The television program 20/20 reported a few weeks ago that Vladimir Putin has created a Hitler Youth–type organization to fight dissent, similar to Castro’s dreaded paramilitary Rapid Response Brigades, which equate to the “Tonton Macoutes” of the late Haitian dictator “Papa Doc” Duvalier. All are used to control, intimidate and create fear among ordinary citizens. 6. The United States has been trading with China since the Nixon era, yet that country remains a totalitarian police state and is a major human rights violator, including the use of slave labor. In addition, most big companies in China, such as China Ocean Shipping Company COSCO, are owned in partnership with or solely owned by the repressive military elite. 7. The unscrupulous businessman’s dream is to convert Cuba into another China in partnership with the repressive Cuban military elite. The Cuban elite in conjunction with American businessmen continues taking advantage of cheap Cuban labor. Currently, via international business agreements, Cuba exports slave labor to other countries in Latin America, the Caribbean, Europe and Africa. For upcoming documentaries I have interviewed ship workers sent to Curacao and doctors sent to Venezuela. I have a relative, a dentist, who was sent to Peru twice. 8. Shortages of consumer goods is one of the tactics used by the Cuban regime to control the citizens: They are so preoccupied with obtaining their next meal that they don’t have the time or energy to complain about the government. In Hugo Chavez’s “Cubazuela” (Venezuela’s carbon copy of the Castro revolution), shortages of consumer goods have been appearing for some time, despite the oil wealth and despite the lack of a U.S. embargo against the Chavez regime. 9. Cuba does not have the money to pay for what it buys from companies in other countries. Cuba’s credit history is notorious and well documented. U.S. agricultural companies will end up being paid by U.S. taxpayers instead of by the Cuban government. 10. It was immoral doing business with South Africa because of the apartheid regime. Why are you in favor of doing business with Cuba? The records clearly show that Cuba has an apartheid regime. Are you in favor of keeping ordinary Cuban citizens away from beaches, restaurants, hotels, stores, nightclubs and neighborhoods; from participating in business deals, from owning property, etc.? Foreigners in Cuba enjoy all of those rights, but average Cubans are forbidden by law to participate in the pursuit of freedom and happiness. 11. It is immoral to do business with a regime that has caused the deaths of over 100,000 people (documented by Dr. Armando Lago in an ongoing study referred to in numerous publications such as the Wall Street Journal). Cuba is designated by the U.S. Department of State as a terrorist country that sponsors terrorism around the world and slowly but surely is subverting Latin America. Take a look at Nicaragua, Venezuela, Brazil, Bolivia, Ecuador and Argentina. Congressman and presidential candidate Ron Paul as well as other decent politicians should consider these points before making more errors dealing with the Castro brothers’ regime. The U.S. has a dismal record of failures dealing with them dating back to 1957. All must read The Fourth Floor: An Account of the Castro Communist Revolution by Earl E. T. Smith, a former United States Ambassador to Cuba from 1957 to 1959. 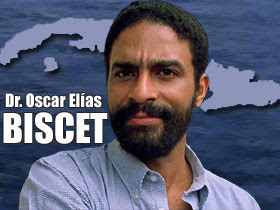 COVERING CUBA, premiered at the American Film Institute in 1995, CUBA: The Pearl of the Antilles, COVERING CUBA 2: The Next Generation, premiered in 2001 at the U.S. Capitol in and at the 2001 Miami International Book Fair COVERING CUBA 3: Elian presented at the 2003 Miami Latin Film Festival, the 2004 American Film Renaissance Film Festival in Dallas, Texas and the 2006 Palm Beach International Film Festival, COVERING CUBA 4: The Rats Below, premiered at the two Tower Theaters in Miami on January 2006 and the 2006 Palm Beach International Film Festival and the 2006 Barcelona International Film Festival for Human Rights and Peace, Dan Rather "60 Minutes," an inside view , RUMBERAS CUBANAS, Vol. 1 MARIA ANTONIETA PONS, COVERING CUBA 5: Act Of Repudiation premiered at the two Tower Theaters in Miami, January 2007, at the Hispanic Cuban Club in Madrid, Spain and the 2007 Palm Beach International Film Festival, and the upcoming COVERING CUBA 6. On Wednesday, October 10, I will be a guest on Fox News Hannity and Colmes to show, for the first time on national television, videos taken inside Cuban hospitals without the Cuban government's approval. Earlier on that same day, I will be on Miami's Channel 41 "A mano Limpia" with Oscar Haza to also show those videos. Channel 41 can be seen on your TV, if you live in South Florida, and also on the Internet if you live somewhere else. Go here: http://www.americateve.com/programa.php?id=1 and then click where it says "Señal en Vivo" This program begins at 8 PM EST and lasts until 9 PM. 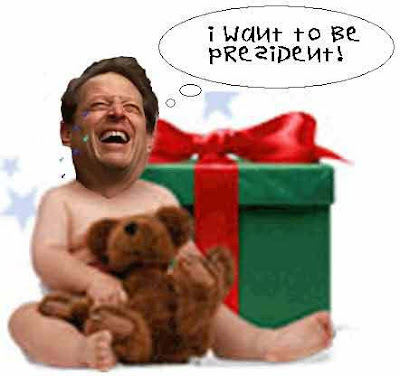 Hannity and Colmes begins at 9 PM on Fox News (cable), but the segment about Cuba should air around 9:30 PM. " Just take a look at the picture above and we all knew what would be Elenita's fate. Two Lawyers perverting justice for their own means. Irony at it's best, first we have Elian and now Elenita (Look at the names!). Wonder what Montiel-Davis is getting paid(perks) from the Cuban government? What are we going to do about it my FREEDOM-Loving brethren?
" If Cuba is so great, why do they all want to vacate." "28 dead in Cuba as train slams into bus"
"It's not that Fidel Castro, 81 and ailing, has revised his view of the world. But he hardly is a danger any longer. Indeed, he has been so markedly given up for dead lately that he thought it necessary a few days before the president's speech to appear on television to prove he is still alive. In the style of song writer Stephen Sondheim, he announced, "I'm still here." Yet he appeared more like an apparition from a show by Gilbert and Sullivan, flailing his way toward the final curtain. 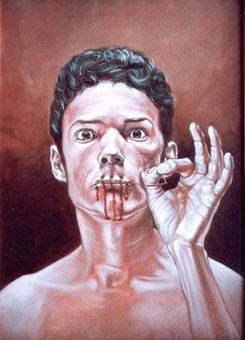 Nor is there much to fear from his brother, Raul, now running the sorry state. Raul is no humanitarian, but he's no Fidel either, and Cuba is no Iran. It doesn't belong on the same list with the axis-of-evil gang. Indeed, Carlos Fonts, a Dallas businessman originally from Havana, has said that Raul has "the charisma of a turnip." Though prisons in Cuba are overflowing with political inmates, and Bush surely was right about the quiet doom that hovers still over that unhappy land, nonetheless, it did seem gratuitous to speak so harshly about Fidel at the U.N. that Cuban Foreign Minister Felipe Perez Roque and his delegation sprang to their feet and walked out. Of course, Fidel Castro has been a "cruel dictator," just as the president said, and his "long rule" is "nearing its end," true enough, but what was the point of pointing that out beyond 27 Electoral College votes in Florida? The administration started planning for the post-Castro years when Colin Powell was secretary of state. He led a commission that in 2004 called for sending 100,000 tons of food to Cuba and mounting a major effort to upgrade health, education, aviation and railroads. The U.S. would help hold elections and establish independent trade unions. But that was back in the nation-building days of the Bush presidency, before it became apparent that Cuba may well evolve more slowly than some have expected. Nor can we know for certain what direction will unfold. It may be toward democratic institutions. It may not. Meanwhile there is little to be gained from hectoring a tired and tiresome regime that is yesterday's news. It doesn't do us much good elsewhere in the hemisphere and may only cultivate resentment of the United States. The best approach is to ease sanctions, open up Cuba and force Castro the younger to cope, not with hostile rhetoric, but with the forces of the modern world"
SO....why then are they after Pinochet and Fujimori...why don't they FORGET in these instances? 3 hours with a dictator! "Castro lives like a king, but the Cuban people have nothing." Not many people knew that the original idea for “cane” was submitted years ago by El café Cubano and rejected by Hollywood. The screenplay involved a maniacal dictator who comes to power in 1959. Through lies and deception he renders a tropical island called Cuber to poverty and slavery. Cuber is robbed of it’s soul and every fiber of culture, family, and religion are destroyed. The main character, Fidel Castro(played by Charles Manson), is a know it all, but in reality knows nothing! The secondary character, raulita castro(played by Pee Wee Herman) is a tormented soul dealing with several “issues” with adult beverages and gender issues. Vilma Espin(played by Janet Reno) is raulita’s wife in this made for T.V drama. Tricky Ricky alarcon(played by woody harrelson) is the character that everyone would love to kick his as… Ramiro ”cuidado que te voy a dar un tiro” is played by James Brolin. Murder, Mayhem, political prisoners, apartheid system, no freedom, thugs, and a dictator is what this NEW SAGA is about!